The opening of potentially proprietary information under the Virginia Freedom of Information Act regarding pricing, rates, and fees is something the private sector does not have to deal with and would strenuously object to. This is particularly harmful to potential public-private partnerships where I fear an incumbent would seek to punish the partner of a rival by constantly seeking information, if only to harass the partnership. Award-wining RVBA serves community anchor institutions, government facilities, local businesses, and other entities with its open access fiber-optic network. They also lease dark fiber and provide other services. 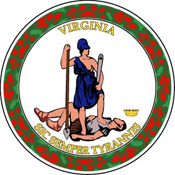 The Virginia Cable Telecommunications Association (VCTA), one of the strong proponents of the bill and a generous Byron campaign contributor, has targeted the RVBA network in the past. This time they have a Delegate in their arsenal. The RVBA began as a joint project between several local counties and cities. After some initial struggles and a number of challenges (most of them political) the network official lit up in April 2016. The region, suffering from poor connectivity from incumbents and sluggish economic development, needed a shot in the arm. Local nonprofits and governments are saving public dollars and getting better capacity with the RVBA. As can be expected, incumbents represented by lobbyists from the VCTA are not happy that the RVBA and municipal networks like the ones in Danville, Martinsville, or Nelson County are operating and doing it well. When they offer fast, affordable, reliable connectivity, it makes slow, expensive DSL look bad. Cable investment in sparsely populated areas would not yield the profits they require. People and businesses in rural areas who are not served by AT&T, Comcast, or any of the other contributors to Byron’s campaign wonder why they have to pay high fees for expensive satellite or mobile wireless that imposes data caps, if they can get a signal. The bill will be up for a vote today in the General Assembly. If you want to call your Delegate and express your thoughts on the bill, a list of contact information for all House members is on the Virginia General Assembly website.